Founded in 2004, eFraud Prevention™ creates & manages fraud awareness and prevention content for Financial Institutions. The eFraud Prevention™ consumer awareness service includes 90 topics with over 1,300 printable tips that are non-technical, positive and easy to follow for families, individuals, students, seniors and small business managers. Our clients include small (under 500 million in assets) to mid-sized (1-100 billion is assets) banks and credit unions located throughout the United States of America. Here are a sample of some of our clients with links to their case studies. and stay smart about fraud prevention. 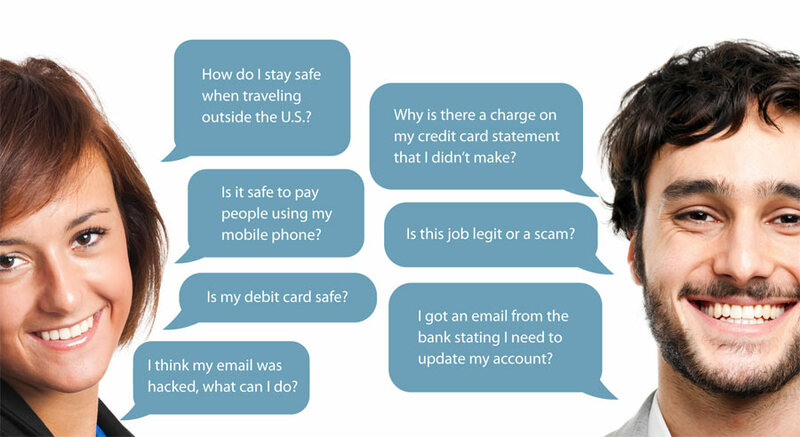 Your customers & members have questions about ID theft, data breaches, scams and hacking. We offer an easy way for you to provide them with the best answers so they feel safe and stay safe. Our multi-faceted approach will transform your fraud awareness outreach to create greater consumer engagement and less financial crime to investigate.